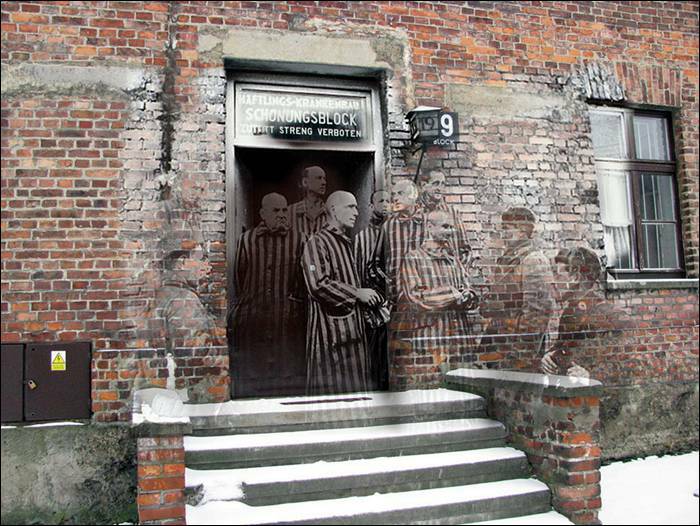 History is often seen as a subject of cramming – what we often don’t appreciate, is how intertwined it is with our present. 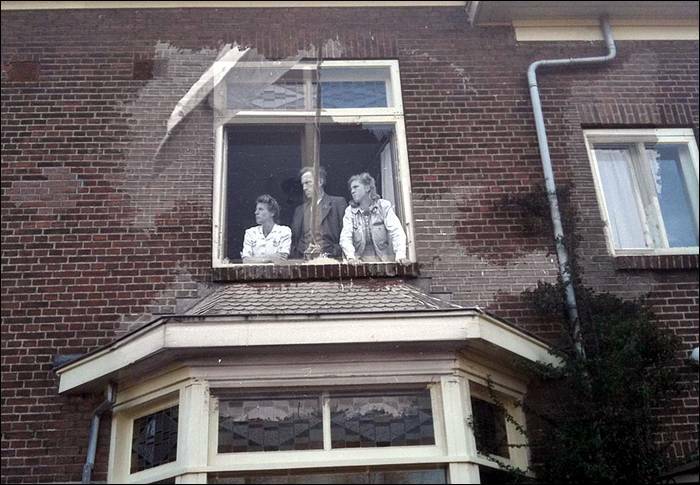 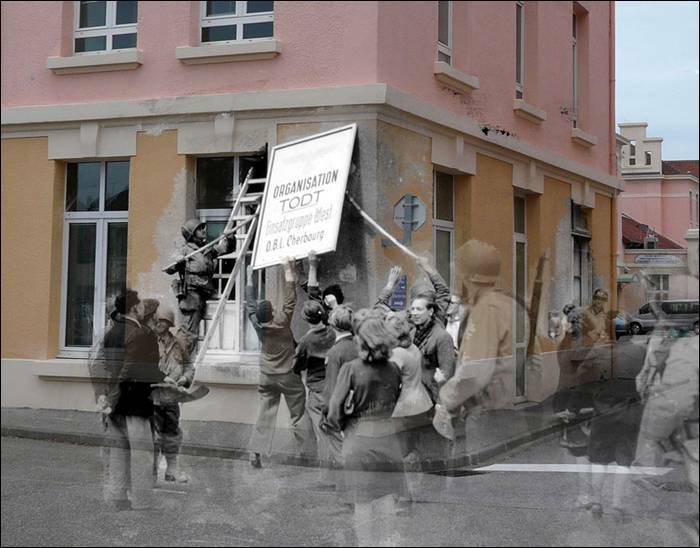 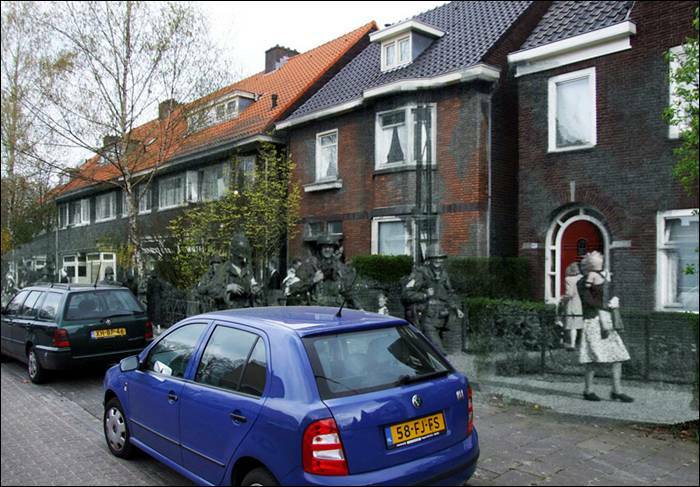 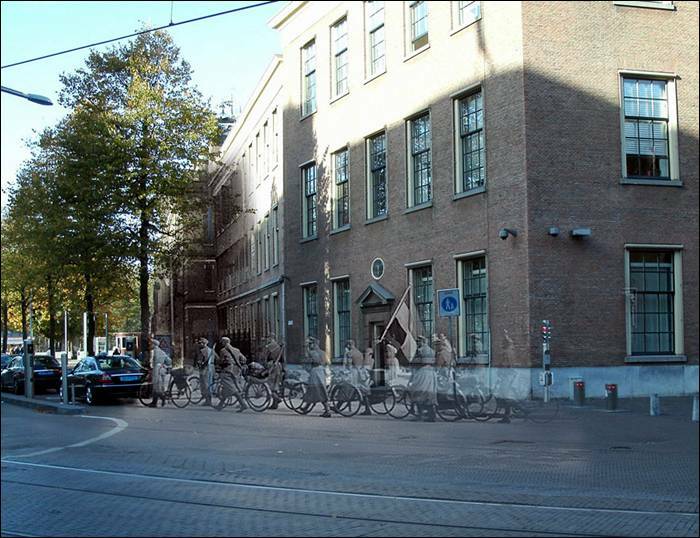 Dutch historian Jo Hedwig Teeuwisse tries to demonstrate that very literally with her Ghosts of War photo series, where she blends the present day and the original World War II pictures of the same place into one. 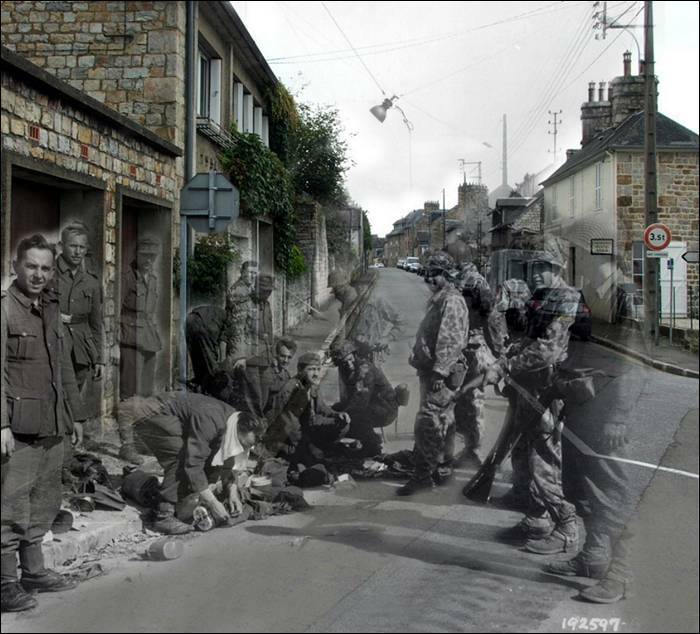 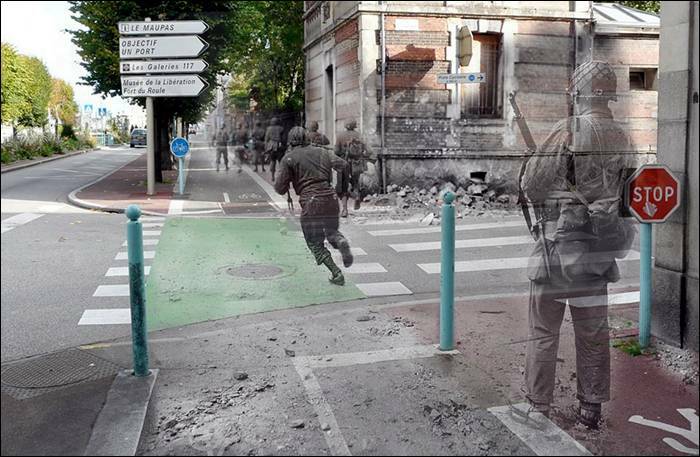 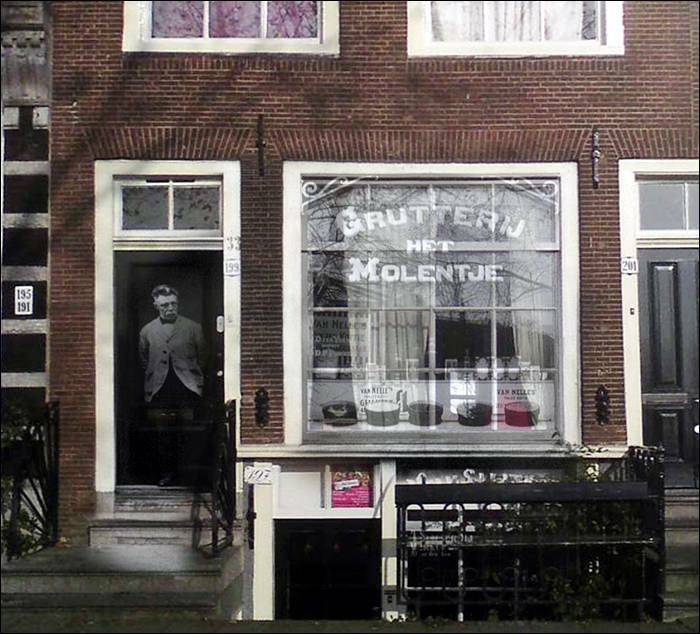 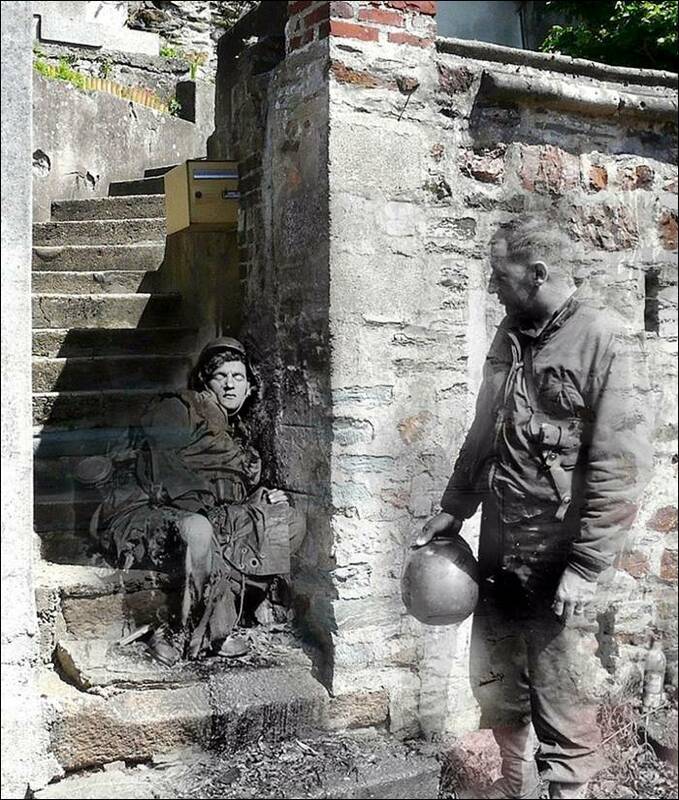 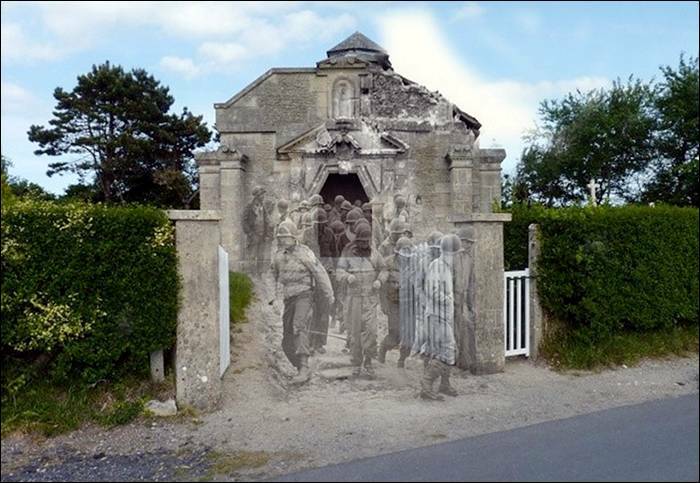 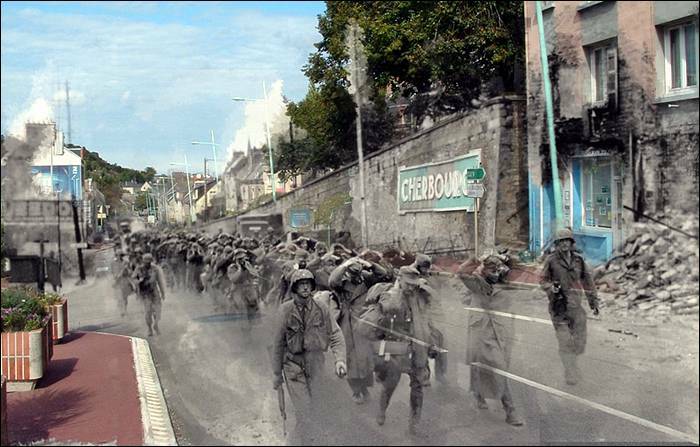 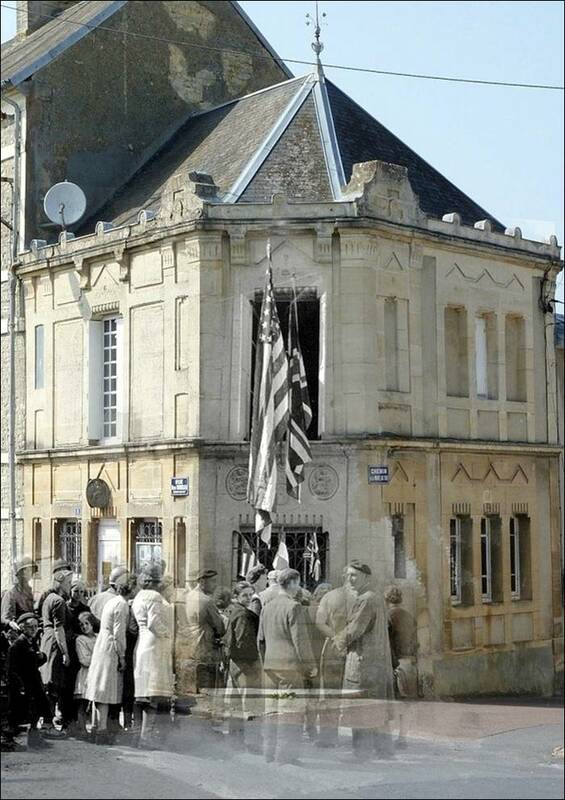 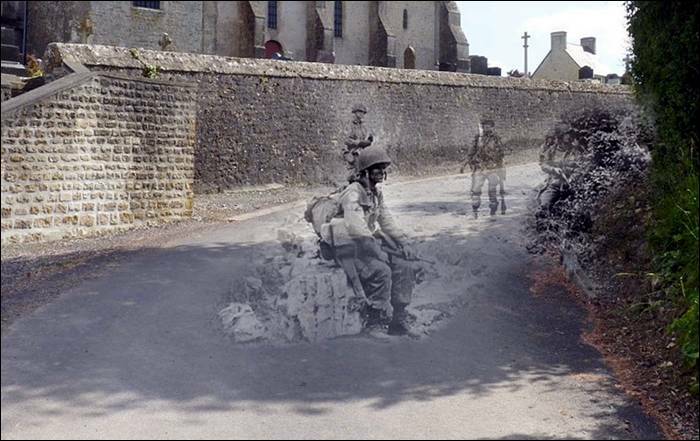 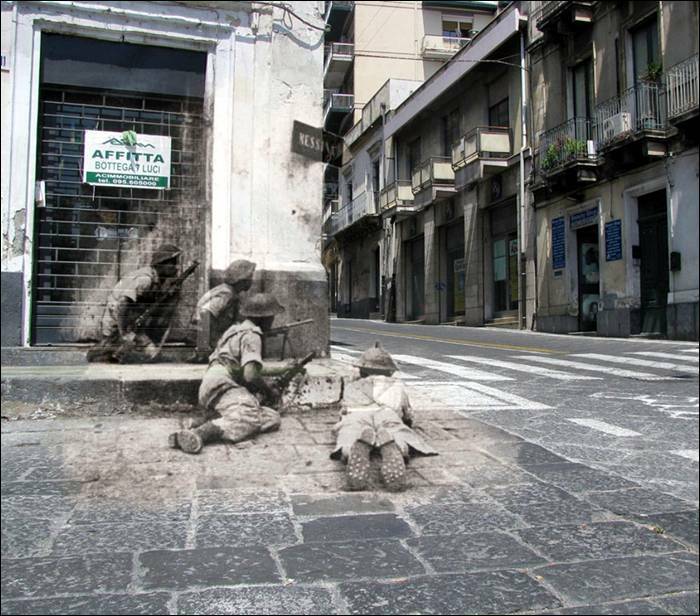 Jo spends hours looking for the locations and taking pictures that match the originals, and then photoshops them to combine the war ghosts into the current settings. 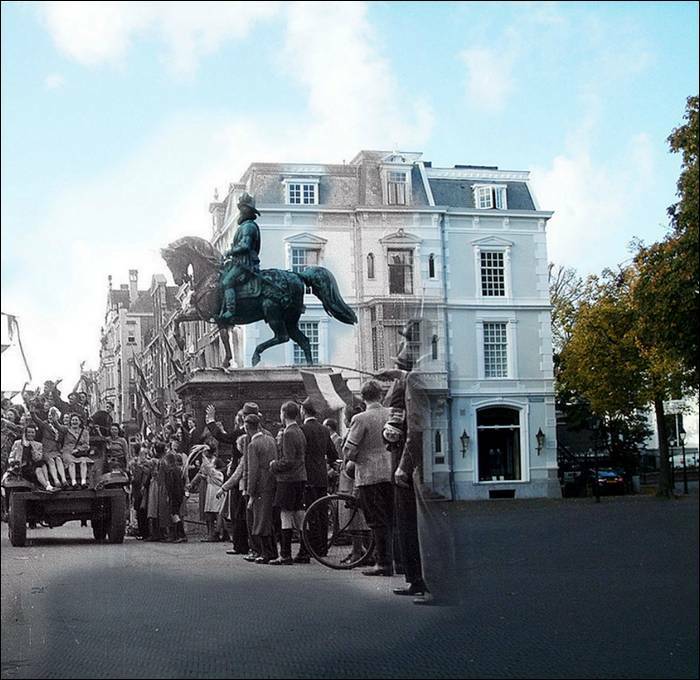 “I try to make people realise that history is all around us. 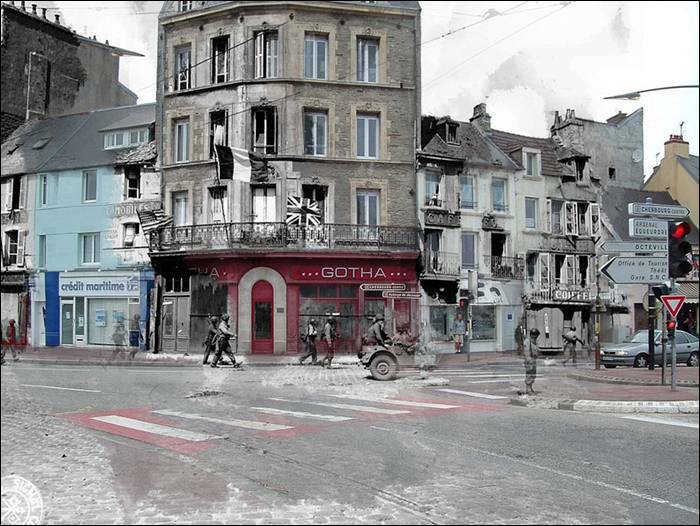 That where you live, work or go to school, once people fought, died or simply experienced a different kind of life. 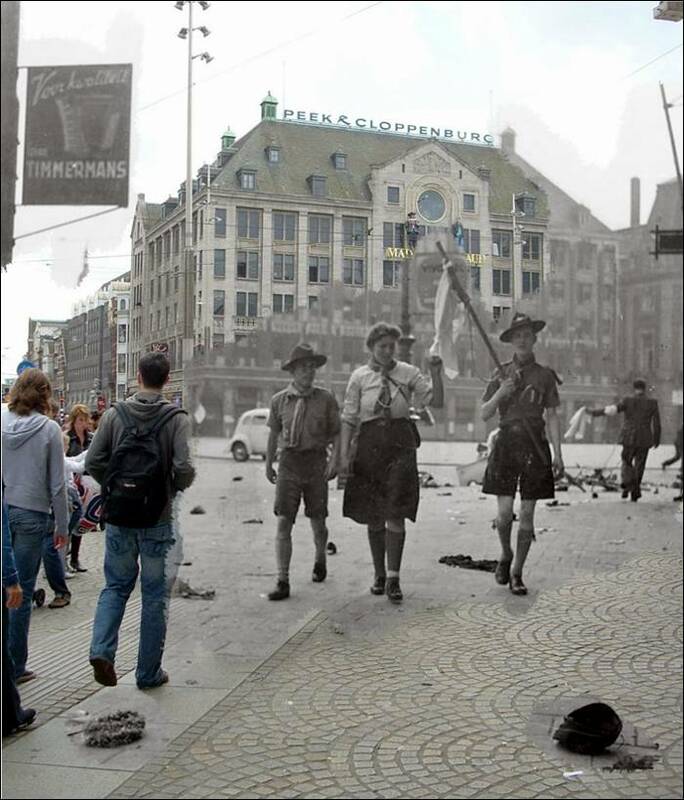 We are history, history is us,” – she says.